Ballroom & Latin Dance Club, Dance Lesson, Dance Party, Dance Shoes. Home page of Ballroom & Latin Dance Club in Burnsville, MN. April schedule please click here! Private Dance Lessons click here! 20% off for beginners, PLUS free Group lessons/parties!! Looking for independent instructors, check Look for Instructors for details! Every Monday and Saturday at 7:00 pm, Plus every First Tuesday of the month at 7:00 pm. Saturdays following 2 hours Dance Party. Please click here to check the calendar! Every Monday & Saturday at 7:00 pm, plus every First Tuesday of the month at 7:00 pm for Beginners. Beginners Dance Lesson & Party! $10 for lesson & party! $50 for 5 lessons, or drop in $15 per lesson. please click Rental for details! 2018 Spring Showcase photos, please click Here! Below is the highlight moments of 19 performances this 2018 Spring Showcase! Enjoy!! For performance Photos please Click 2017 Showcase! Dance Shoes on Sale (over 30 styles)! Click Dance Shoes for details! Gift Certificates are available for Newcomers with great discount!! Please click Gift Certificates for details! Thanks!! Welcome to the Ballroom & Latin Dance Club! Ballroom & Latin Dance Club is a perfect place for entertainment with your neighbors, friends, dance/exercise partners to enjoy dancing and fitness activities together! We offer Evening group dance lessons, private dance lessons, fitness lessons, Friday Karaoke & Dance Parties and Saturday Salsa Night time. 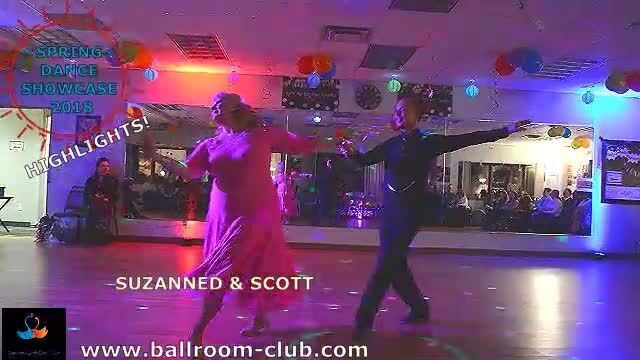 We also provide special dance programs, such as: Wedding dance, Kids Ballroom Dance, Seniors dance, Teenagers dance, Belly Dance and off-site private group dance lessons for special needs. Now, we provide a wide range of ballroom and Latin dance lessons which includes at least 18 popular dances from Level 1 to Level 3: Rumba, Merengue, Cha-Cha, Salsa, Bachata, Club two-step, Hustle, East Coast Swing, West Coast Swing, Tango, Foxtrot, Waltz, Argentine Tango, Quickstep, Viennese Waltz, Bolero, Cumbia, Lindy Hop, Jitterbug, Samba, Belly dance, etc., and fitness lessons includes Yoga, Zumba, etc. This brand new ballroom and Latin dance club is conveniently located at 1103 W Burnsville Pkwy, Burnsville, 55337 just off of 35W making it a short drive from many of the cities in the surrounding suburbs, such as Bloomington, Savage, Eagan, Prior Lake, Apple Valley, Lakeville, Edina, Shakopee, Rosemount, Farmington, Eden Prairie, Richfield, Northfiled, etc. Our Mission: Enrich our community's social life by providing a healthy, friendly, relaxing and enjoyable entertainment environment and atmosphere. To enjoy our activities and services, please click Visitor Guides for suggestions and ideas! For instructional classes, please click Classes for ideas! For classes to meet your scheduling needs, please click Calendar to find one! We offer NINE kinds of affordable pricing programs to meet your budgetary needs. Please click Price and Vistor Guides to find a perfect payment plan for you! We also offer you the convenience to register now and pay later! Please call us or visit us online to pre-register and then pay on site later. Please click Register and fill in the requested information. Follow the instructions and make an appointment to pay on site at a later date. Our dance hall is rentable for teaching, training, dance/fitness practice, etc. Please click Space Rental for details. We are looking for independent instructors/contractors to provide a variety of classes. Please go to Look for Instructors for details.